So I bought the HP ENVY 17t-j000 Quad Edition Notebook featuring the new Intel 4th Generation Processors and Windows 8. I bought this laptop to use for college, as my desktop replacement and "Engineering workstation". 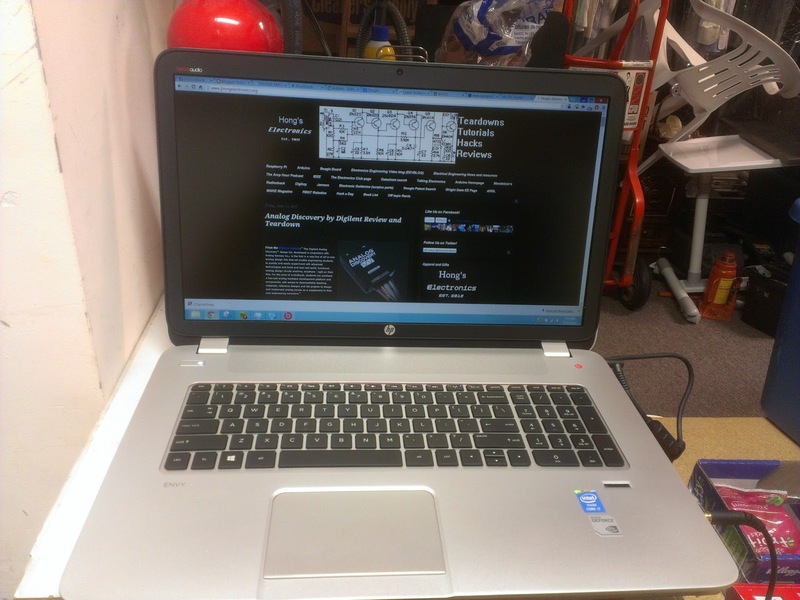 The notebook starts with an i7-4700MQ processor, but in my configuration I upgraded it to an i7-4900MQ. Although, the four processor options offered at the moment are considered "High end", I decided on the i7-4900MQ, because I wanted this laptop to last for at least 3 years and still be able handle demanding engineering software and other programs by the time I become a senior in college. The Laptop has 2 DIMM slots for RAM and can be expandable to 16 GB. I kept the 8 GB of RAM the laptop starts with, because for now this will be suffice and I could easily do if myself without paying extra to the manufacturer. Intel's new and improved HD 4000 graphics comes with the processor and you can upgrade by adding a NVIDIA GeForce GT 740M discrete graphics card with 2 GB of dedicated RAM. The standard configuration comes with a 1600 x 900 "HD+" display, but really you should upgrade to the 1920 X 1080 Full HD screen. or in other words 8 logical processors! A 1 TB 5400RPM hard drive comes standard with the laptop. In my configuration, I have two 1 TB drives with the 24 GB mSSD Cache with Intel smart cache. The laptop comes standard with a Blu-ray player & SuperMulti DVD burner. You can upgrade that to a optical drive with a Blu-ray writer, but for my purposes it is not necessary. The laptop comes with 4 USB SS 3.0 port, a HDMI port, and 1 Headphone/Microphone-in combo jack. Now it says on the website that it comes with a 65 Watt AC power adapter, but if you order a similar configuration to mine you will receive a 120 Watt adapter. On the website, it claims the Envy can get up to a 9 hour and 30 minute battery life, but in reality it is more or less in the order of 5 - 6 hours. Pretty reasonable for a notebook of this sheer size and processing power. Other features include a webcam with integrated digital microphone. I also got the back-lit keyboard add-on and Upgraded the Wifi card to one that includes Bluetooth. As for the audio, a pleasant surprise awaits... Although this was not one of the main factors I bought this laptop, this is definitely another reason why I really love this laptop. Me being the audiophille I am was pretty skeptical about Beats audio on this computer, and I am staunch against Beats by Dre heaphones and all this audiophoolery crap. For a laptop, the audio is quite loud and is great for playing music and sharing Youtube videos with friends and family. It's quite excessive, but awesome that this laptop includes 4 speakers with 2 subwoofers. Why does a laptop need it? It's not necessary, but I think I will keep and enjoy it! The dedicated/discrete audio amp for the headphones is phenomenal as it can pump up my 64 ohm Sennheiser HD 280s heaphones really loud and has eliminated the use of an external headphone amp. I also am quite happy with the software, as it includes an equalizer and some other preset EQ settings. 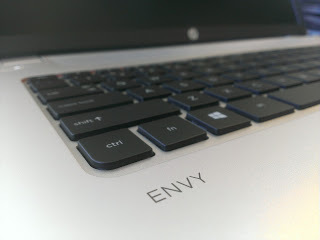 Overall I am really happy with the HP ENVY 17 and I really have not had really any issues with it, nor found any cons about it. 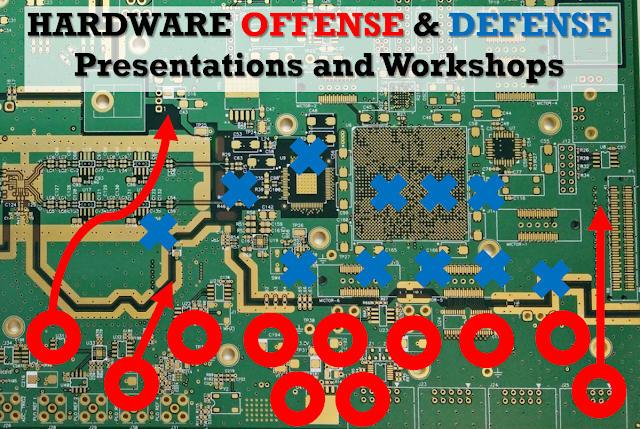 I would definitely recommend this for college students and perhaps some engineers who are looking for a laptop, but still want that powerful desktop processor. You really cant. Its the GP's bios. you'd have to be compelled to flash a bios that supported GOP, if there's one.